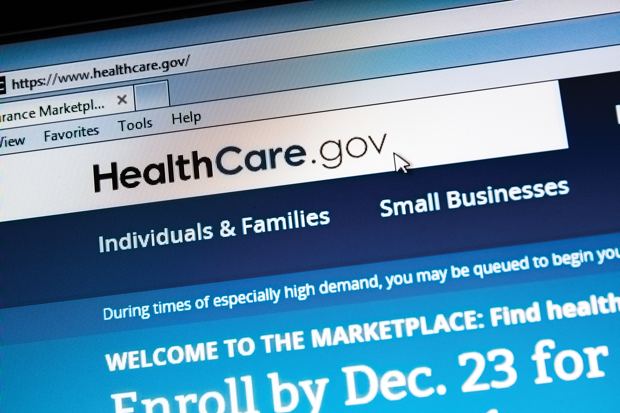 When the Affordable Care Act (ACA) became law in 2010, some critics predicted that scores of employers would stop offering group health insurance and send their workers to the federal or state exchanges for coverage. But a 2016 report by the Congressional Budget Office and the Joint Committee on Taxation finds that, while some companies have dropped their health insurance, many others have continued to provide health benefits. In fact, today, 57 percent of the U.S. population under the age of 65, about 155 million people, are getting their health coverage through an employer, according to the report. There is little doubt, however, that the ACA has had a major impact on how companies in Alabama and across the nation administer health benefits for their employees. And some companies must weigh the costs of dropping insurance altogether. The insurance market in Alabama is undergoing big changes as well. Blue Cross Blue Shield of Alabama covers an overwhelming majority of the health insurance exchange enrollees in Alabama. United Health Group and Humana Inc. cover a smaller number of enrollees in the state. But earlier this spring United Health and Humana announced they would pull out of the exchanges for Alabama, leaving Blue Cross Blue Shield as the only company on the insurance exchange for Alabamians. Under the ACA’s employer mandate, companies with 50 or more full-time and full-time-equivalent employees have to provide health insurance coverage that is affordable and of minimum value to at least 95 percent of their employees and their children up to age 26. Full-time employees are those who work at least 30 hours a week. A plan of minimum value must pay at least 60 percent of the covered services. Failure to provide affordable, minimum coverage can result in a company having to pay penalties of around $2, 000 per worker. On the other hand, small businesses, those with fewer than 50 employees, are exempt from the ACA’s employer responsibility provisions. Those employers have the option of buying health insurance for their employees through the Small Business Health Options Program or SHOP Marketplace. Powell says, however, that a growing number of small businesses are dropping coverage altogether and sending their employees to the marketplace to buy their own insurance, since they are not under the threat of penalties and recruitment and retention is often less of an issue for them than for larger companies. Conversely, most large employers believe dropping their health coverage is not a financially sound option. Expect Alabama to soon catch up with the trend toward plans with higher deductibles rather than copays. Large employers are also having to contend with added red tape required by the Internal Revenue Service due to the ACA, says Scott McDuffie, vice president of employee benefits at Willis of Alabama, a risk management and insurance intermediary. “Starting with this year in particular, there are an increased number of complaints about all of the reporting that has to be done, ” he says. The IRS requires companies with 50 or more full-time or full-time equivalent employees to file a 1094-C Transmittal of Employer-Provided Health Insurance Offer and Coverage Information Returns form and, for each employee in the organization, a 1095-C Employer-Provided Health Insurance Offer and Coverage forms for their employees several times a year to report information about the health coverage and employees’ enrollment in that coverage. Besides the additional paperwork, McDuffie says employers have also complained about the increased costs related to benefit adjustments that had to be made under ACA. One issue in particular is what is known as the Cadillac tax. Starting in 2018, the ACA will impose a 40 percent levy on individual and family plans with premiums higher than $10, 200 and $27, 500 respectively. To lower their costs and offer employees low-premium insurance coverage, more companies are taking steps such as limiting or eliminating coverage for employee spouses if the spouse can purchase insurance elsewhere. Another option is raising deductibles — the upfront costs that must be paid before the insurance picks up the tab. Between 2006 and 2015, the average deductible for those with employer-provided health coverage jumped from about $303 to $1, 077, according to a Kaiser Family Foundation report. The report also found that between 2004 and 2014, the average payments for deductibles and coinsurance rose faster than the overall cost for covered benefits. The average payments for copayments, however, fell. The bottom line is that, “patient cost-sharing rose substantially faster than payments for care by health plans, as insurance coverage became a little less generous, ” the report says. In Alabama, Powell says he suspects the move toward high-deductible plans that is happening around the country will eventually occur in this state, where plans with copays have been more common. From an employer’s perspective, says Powell, high-deductible plans encourage employees to become better consumers, since they have to pick up the full cost until they meet the deductible. So an employee, for example, might be more willing to take a lower-cost drug that is similarly effective to save money. From an employee’s perspective, says McDuffie, a high deductible health plan, combined with a health savings account, can help employees pay for their deductibles. With HSAs, employees can make pretax contributions up to $3, 350 for individuals and $6, 750 for families, and they can spend the money for their health care tax-free. McDuffie says the high-deductible plans also enable employers to structure their plans in such a way as to encourage employees to pursue healthy lifestyles. One way is to offer incentives for employees to participate in wellness and disease prevention programs, which can help reduce what they pay in deductibles. He has also seen a surge in the use of tobacco surcharges where employees who smoke, for example, are made to pay a surcharge, since they tend to cost health plans more money. More companies are also offering smoking secession programs to help those employees to quit the habit. Overall, Powell says, companies must do their homework and make smart decisions to control their health care costs. “Look at the deductible/out-of-pocket report and find out how many of your employees actually have these large claims, ” says Powell. He says most employers will find that often a small percentage of their workers are making the majority of the claims. Gail Allyn Short is a freelance writer for Business Alabama. She lives in Birmingham.